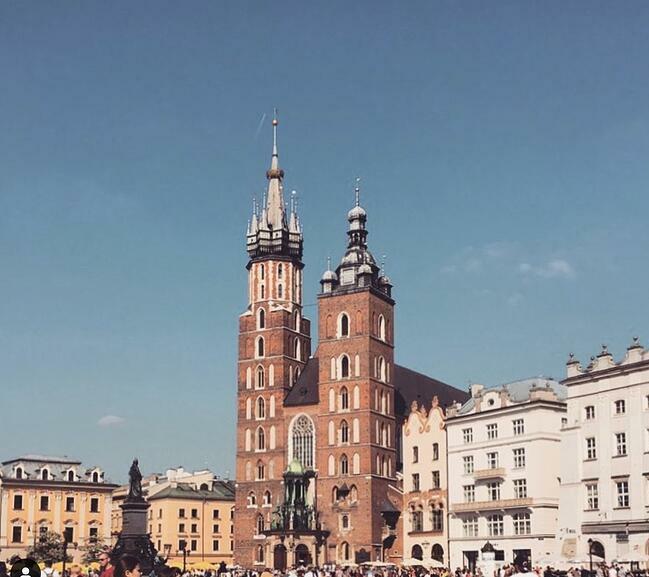 I have my favorite places in Europe and Poland is one of them. I mean, honestly, it could very well be due to my love of Good Lood ice cream (one of our favorite restaurants in Krakow), but it’s also because Poland has so much history — it's just different in a few ways than the other countries I’ve visited in Europe. Want to live in Europe for a semester? Get the details on spending less for a semester abroad. 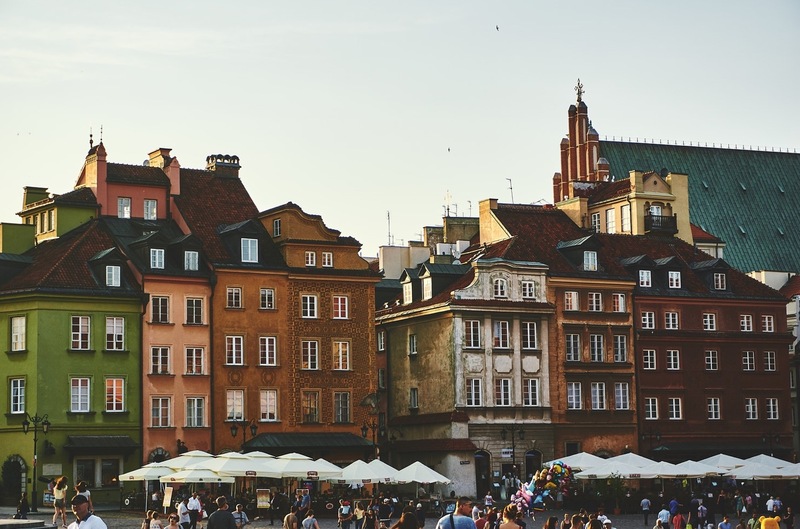 Beside picture-perfect castles, historic Old Towns, and charming city streets, you’ll need to know about the weather in Poland before visiting. 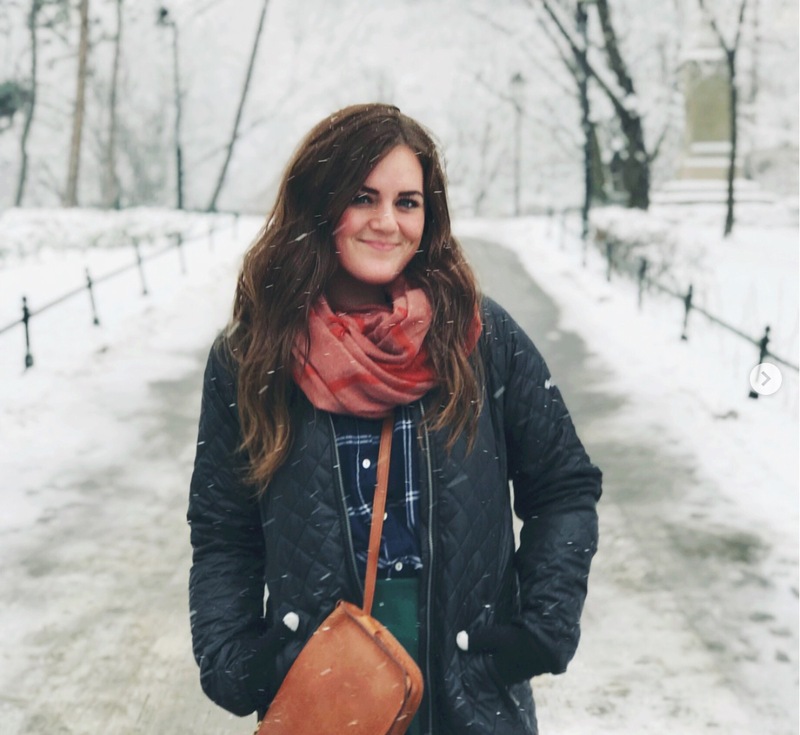 We’ve talked to our ILP volunteers who have spent time in Krakow and a few other cities in Poland in all seasons to give you the down-low on what it’s really like. For the months of September, October and November, you’ll experience quite a lot of things to be prepared for. Visiting volunteers say September starts off warm (in the high 70’s and low 80’s) but cooled off 10-15 degrees and brought more gray skies and colder weather half way through. In October, it rains most every day. It’s not a heavy rainy, but it’s still wet, and you'll have similar temperates around 60 degrees or so. November has less rain typically, but the temperatures typically hang out in the 40’s or 50’s. You’ll also see gorgeous orange and yellow leaves color the trees if you spend anytime in Poland’s forests, something you can’t get any other season. 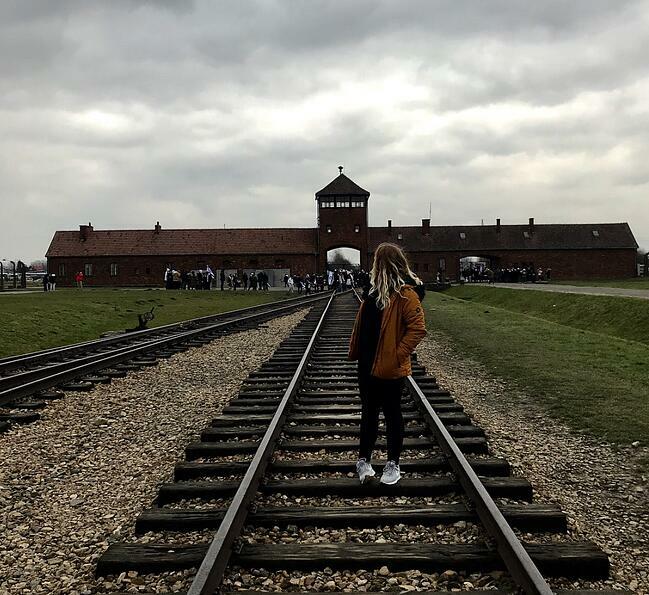 Here's a snapshot from a visit to Auschwitz in November. Poland in the winter is cold, but so beautiful. You’ll see all the same prettier-than-possible cities and villages, just dusted with snow which adds to the charm. Temperature wise, you’re looking at days in the 30’s in December, then more like 20’s for January and February. You’ll see snowy, slushy days and gray skies for the most part, so you’ll want to bundle up to stay warm while you explore the icicle-lined walking streets. Here's a picture from snowy January in Poland — it's definite low season for visiting Poland in the winter which means you can probably get super cheap flights from elsewhere in Europe. If you dress for the weather, you'll be just fine. For the months of April and May, temperatures are on average 40’s and 50’s but with more sun than you’ve seen in the earlier months which helps it feel warmer, unless you have a wet spring and a windy spring. You’ll want to be prepared with lighter layers in case it’s warm and sunny, but also with thicker layers and waterproof gear in case you are visiting during a wet and cold spring. 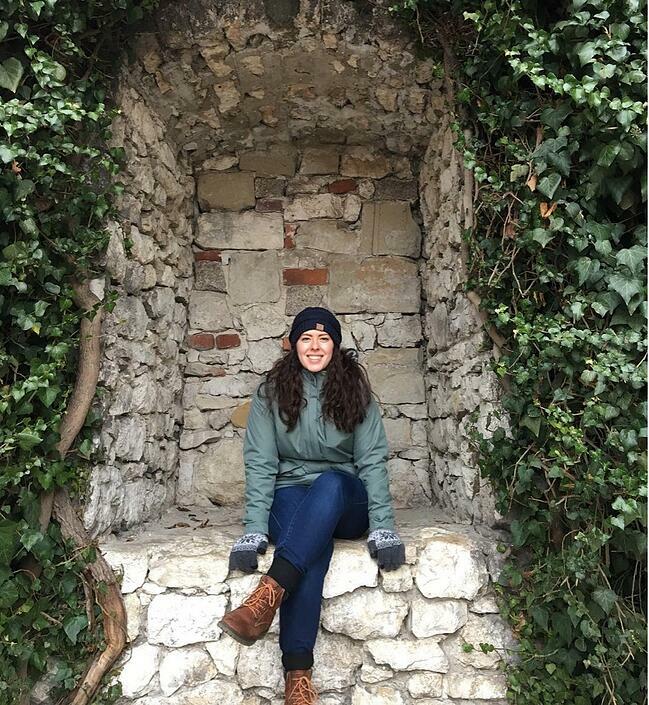 Here's a picture from a volunteer visiting Wawel Castle in April (looks like it was a chilly spring). In the summer, you will have hot and humid weather for the most part, but you’ll also see quite a bit of rain to keep everything in Poland nice and green (we love those stunning mountain hikes you can take in Zakopane!). You’ll typically have temperatures in the 70’s and 80’s, but just so you know, the month of July usually is the rainiest month, so you’ll for sure want waterproof shoes and an umbrella unless you don’t mind getting wet. The humidity also makes things feel a lot warmer than they actually are, so you’ll want lighter weight layers that can also keep you dry. Here's a picture taken in June: It's warmer, but you will need some light layers on cloudy days (like a cardigan or long pants to pair with your tee-shirt). All the seasons are rainy, so you’ll want to be prepared for that. Some of our volunteers suggest bringing rain boots or waterproof boots that are very comfortable to walk in. The ankle-high options are a good pick for this: just know that if you’ll be visiting in the winter, fall, or spring you may have really cold rainy days so you’ll want warm socks for warm feet while your boots keep your feet dry. I have loved traveling with ankle-height rainboots (Chelsea Boots) paired with thick wool socks. An umbrella is also a good thing to bring, and a rain jacket. One thing I’m also super glad I travel with in rainy weather is a waterproof/water resistant backpack. I love packing up my Fjallraven Kanken. It’s water resistant so unless it’s pouring rain, it has kept my things dry. One volunteer said “between October and probably April, you’ll want boots and a winter jacket”. I’d go for anything that’s waterproof, windproof, and has a good down-count (more the 800) to help you stay warm in the cool and cold weather. If it’s chilly out, layer with just a long sleeved teeshirt and your coat, but when it’s cold out, you can wear a long sleeve, a cardigan, a sweatshirt, and then your coat to help you layer. You’ll also want gloves, a hat, and a scarf if you’ll be visiting in the winter. Here are a few of the boots we recommend for volunteers living in Russia, Ukraine and other Eastern European Countries. We also have a post about the winter coats we recommend. Ready to spend time in Europe? One of my favorite ways to travel is to just live in a country for a semester. 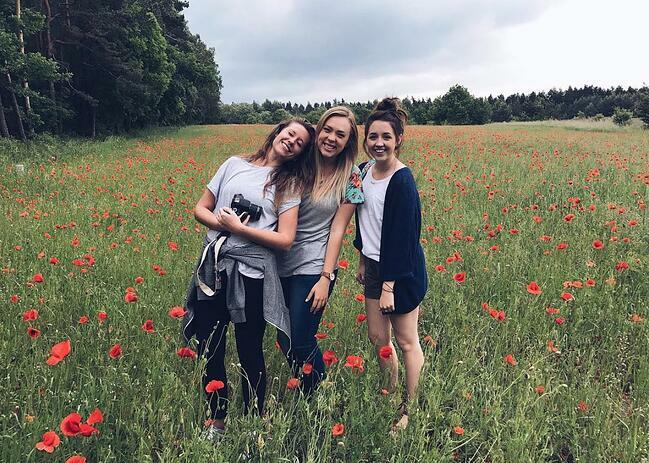 You’ll get to call a city home while you volunteer in an orphanage or teach English, have vacations time to explore other countries, plus have weekends off to see even more. Do all of this with ILP.